I know, I know. Talking about what I saw in June at the end of July is a bit ridiculous, but in my defence, it's been very hot. Too hot to sit at a computer all day then do the same thing at night. I've tried to balance my viewing with something of "higher standard" with something more popular. Like alternating kale salad and a bowl of ice cream. It hasn't quite worked out that way but there's plenty of summer left. 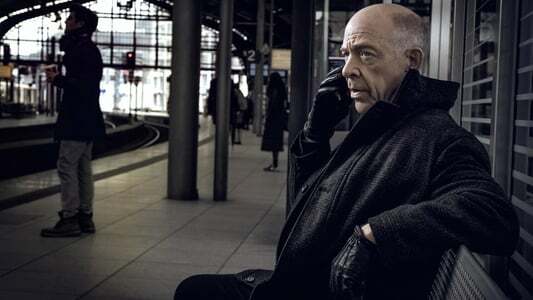 J.K. Simmons plays Howard Silk, an uninspired and uninspiring bureaucrat in a nameless UN agency who one day discovers an unusual secret when he is introduced to his “other”. Howard’s “other” is in fact, Howard. A Howard from a parallel dimension. In this version of Berlin an experiment about 30 years before created a portal to a parallel world. Our Berlin is designated as “Prime” while the other version is called “Alpha”. At some point the two dimensions began to diverge and now something is happening that has forced Alpha Howard to reach out to Prime Howard. Despite having a shared history and personal life, the two Howards couldn’t be more different. Alpha Howard is a cynical, seasoned, no BS spy who is less than amused at the sheepishness of Prime Howard. J.K. Simmons plays the two men so adeptly that you know instantly which one is which, and that in itself is fascinating. 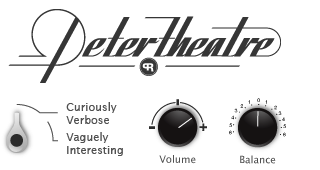 The show itself is no less intriguing. Is it a simple metaphor of the cold war and the dangers it wrought? Or is it a more complex study of our lives and the decisions we take that make us who we are (or do we make those decisions because of who we are?) What makes us tick? Have you ever wondered what your life might be like if you had done one thing differently? The possibilities are endless but in Counterpart they are laid bare to discover by walking through an underground passage in Berlin that connects two identical but radically different worlds. A faux documentary style reality show in the BBC milieu that parodies the inner workings of … the BBC. This British comedy is so “meta” it’s hard to know where parody and reality begin and end. 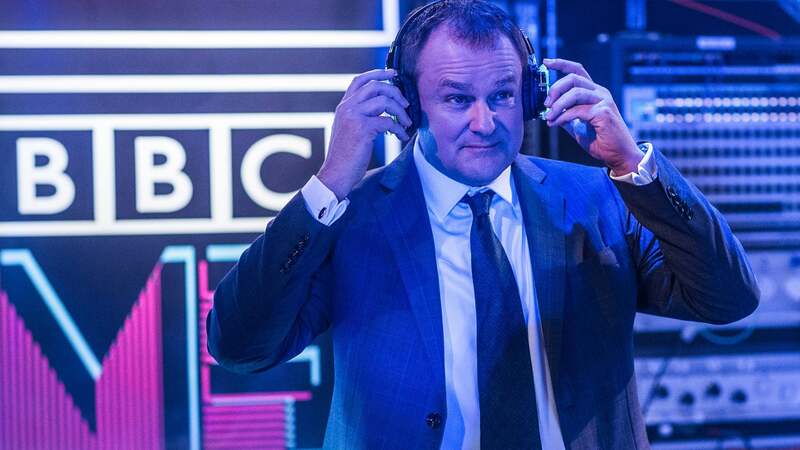 At the centre of the madness is Ian Fletcher, Head of Values at the fictional version of the BBC played by none other than Downton Abbey’s Hugh Bonneville who gives a master class in comic timing. This show is hilarious and easily binged in a single gulp. The scenes set in various committee meetings (of which there are many) are excruciating and priceless. The comedy portrays the BBC as a headless hydra constantly contorting itself with endless meetings and consultations carried out mostly by useless twits and yes-men/women. The occasional well-meaning individual is swept up by incompetence while the occasional competent individual is done in by overwhelming corporate incompetence. Despite the acerbic satire of the BBC, it is a loving kind of cruel comedy. The “Merc with the Mouth” as the ribald hero Deadpool is sometimes known delivers an uncommonly good sequel. The bravado of Ryan Reynolds' comic performance is only made better when he steps aside to make room for other characters. The first Deadpool was mostly a solo show but for round two, the anti-hero finds being part of a team makes for fine entertainment. This super-hero film stands out in the genre for mocking the very thing it is and having fun with the tried and true cliches and stereotypes. Deadpool’s super power is that he can’t be killed but when a criminal kills the love of his life he seeks crueler and more unusual ways to overcome life. While trying to do that he encounters a mutant kid who having grown up abused in an orphanage is heading down the wrong path - a path that in the future leads him to kill the family of a justice seeking killer who travels back in time to find revenge. I’ve confused you enough. Just know that if you see this film, it is shockingly R-rated in the most fun way. Oh and that the magic of time travel means any dream can come true. 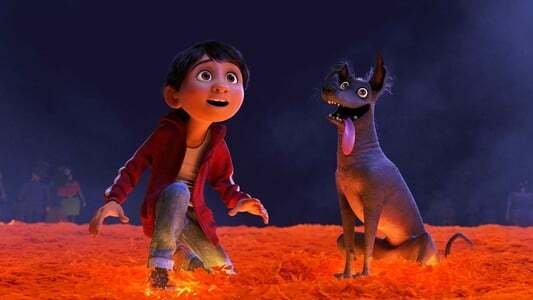 Another inventive and beautiful Pixar animated film that blends a story about family (a core value of 90% of family rated films) with an original exploration of Mexican cultural and musical traditions. A young boy, Miguel, through some magical twist ends up on the “other side” in the land of the dead on the Day of the Dead. In his journey to make it back to the living he discovers his own family’s real story and tragedy. In this movie, Pixar has found a way to tell a genuine story of “self-discovery” with real emotion, grace and meaningful relevant messages but still deliver a reliable feel-good formula in the Disney mould. It is strange that just as an American icon like Disney finds a way to tell a story rooted entirely in Mexican culture and traditions, an American president has gone out of his way to denigrate Mexicans and Americans of Mexican descent. For some reason, critics were surprised that a funny, entertaining, animated sequel about a family of superheroes was a hit. I even read one critic who reviewed the film saying that Pixar seemed content to just make entertaining movies that have no significant meaning. Not every film needs to have the emotional intensity of Inside Out or Up. In fact, a lot of people, myself included enjoy films that offer only a relief from the world outside the theatre. 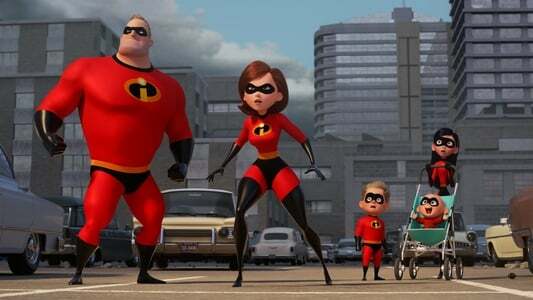 That being said, Incredibles 2 takes off where the original ended, literally, and continues the fun ride of a family trying to balance a home and work life while having super powers. In this story, the mom, Elasti-girl has become the breadwinner while Mr. Incredible struggles with being a modern stay at home dad. In the end, the family works better as a unit than as a traditional hierarchy which is a simple message wrapped up in a lot of fun. Bruno is the kind of guy who always lands on his feet, no matter how outrageous or irresponsible his actions. In debt one moment, flush with cash the next. In love one day, forlorn and heartbroken by the afternoon. He’s also the kind of guy who drives like a maniac and calls everyone else a “nonna” or grandma. This 1962 Italian classic focusses on what happens when a self-centred narcissist who lives in the moment and has a great lust for life takes over the life of a quiet, shy law student, Roberto, for one weekend as the two drive through the Roman and Tuscan countryside. On the surface this is a perfect summer road trip movie with two opposite characters thrown together by chance. It’s also pretty funny. In one moment Bruno is rapidly talking when he asks “What did you think of L’Eclisse?” which is another classic Italian film (released the same year) by master director Michelangelo Antonioni - who is also a master of very slow, intellectual films. Il Sorpasso is the opposite and Bruno says as much when he answers his own question, “I thought it was dull. I fell asleep. I thank him for that… Antonioni is a genius. He’s respected for a reason. Genius. Our greatest director!” But the film takes a more sober turn when we discover Bruno’s unresolved marriage (he and his wife have been separated but not divorced for 15 years) and his outrage that his teen-age daughter is seeing a wealthy older man (which is exactly something he would do). In another quieter moment, he implores Roberto to live his life to the fullest and in a fatherly way, encourages the young man to be more confident. This of course, makes the shocking ending that much more tragic. There really isn’t a good translation to the title of the film, which is why I guess you only ever see the Italian title. “Sorpasso” means to “over take” as when one car on the highway over takes another. In this case the title “The Over Take” or Take Over has obviously two meanings; one figurative and one literal. There was a golden era of Canadian Design that my professors at university would never shut up about. The period between the design of the Canadian flag and just after the Montreal Olympics is a bellwether and high water mark not just for Canadian design but for Canada itself. This is really my only complaint of this documentary where we meet the (mostly) men and women who worked at that time and hear the stories of how their designs came to be. There’s much talk of “Canadian Identity” which for those of us not from Toronto or Montreal is a trigger that we’ll be listening to people from Toronto and Montreal pontificating whilst navel-gazing about other Canadians (by whom they mean other people from Toronto or Montreal). Beyond that, the film is a wonderful celebration of the kind of great and masterful work Canadian designers have created and thankfully it doesn’t delve too cynically into why some great icons of Canadian design have been marred over the years because that would be a whole other film. Sometimes a simple premise is all you need to get a movie started as long as you have two or three charismatic leads you’ll be fine. 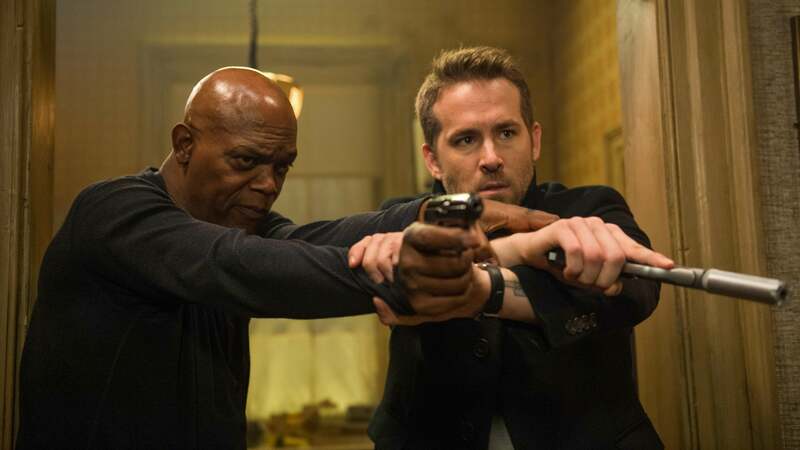 In this case, Ryan Reynolds and Samuel L. Jackson have a surprisingly good chemistry as Reynolds plays Michael Bryce, the once accomplished now fallen body guard hired to protect Sam Jackson’s Darius Kincaid, a highly sought after hit man. Kincaid has agreed to custody in a deal to protect his wife played by Salma Hayek. Add an international baddy played by Gary Oldman and you’ve got yourself a funny and action packed movie that won’t change your politics or religion but is a fun way to pass the time. One of my favourite lines is from Reynolds who while taking a break from the mayhem around him begins to complain about Sam Jackson's character by saying, “The man single handedly ruined the word ‘motherf•••er’!" which of course Jackson famously says in many of his films.